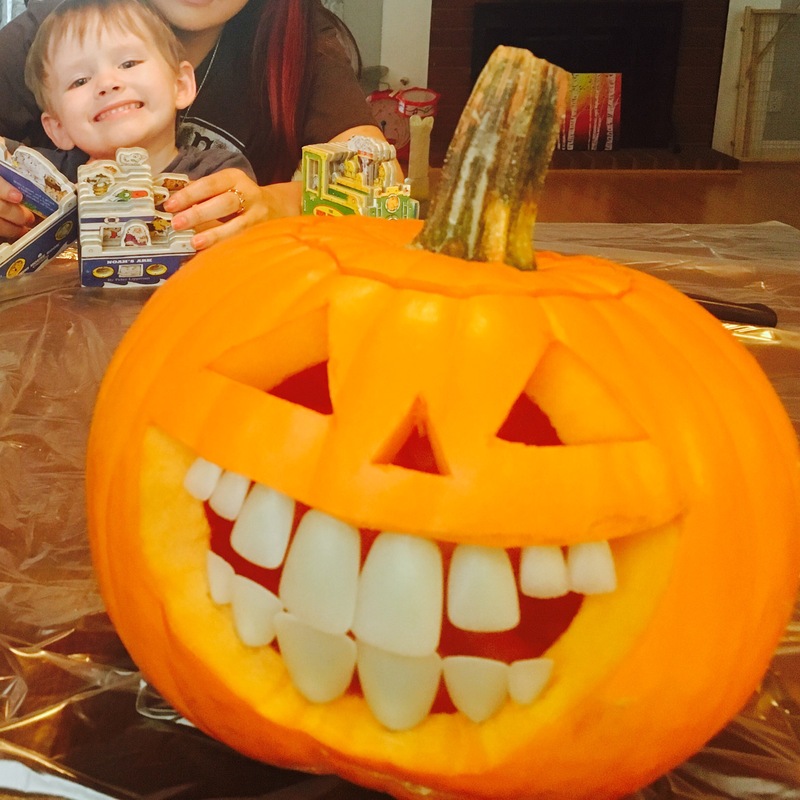 Easy Jack-o-lantern DIY – Crazy for D.I.Y. October 29, 2016 November 11, 2017 • Crazy for D.I.Y. 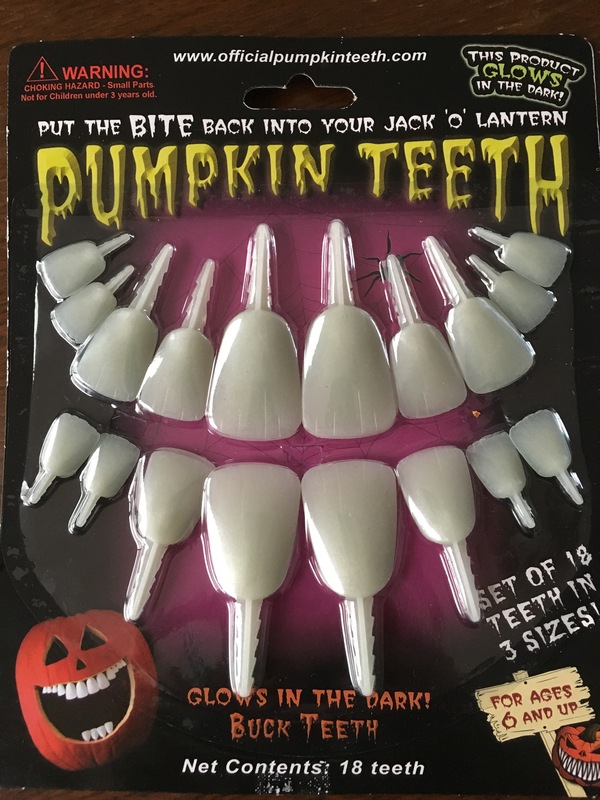 I found these cool glow-in-the-dark pumpkin teeth in the bargain bin for $2. I just had to get them and try them out especially since they are not scary at all. Also, my 3yo could use a good oral hygiene 101 using this ginormous grill. Let me just say I am NOT into pumpkin carving but these made it fun and easy. It took 20 min tops from beginning to end. Posted in Crafts, HalloweenTagged carving, diy, easy, glow, Halloween, kid, pumpkinBookmark the permalink. What a great blog! I love your ideas!